Is the Paris Pass a Good Value? Is the Paris Pass worth it? 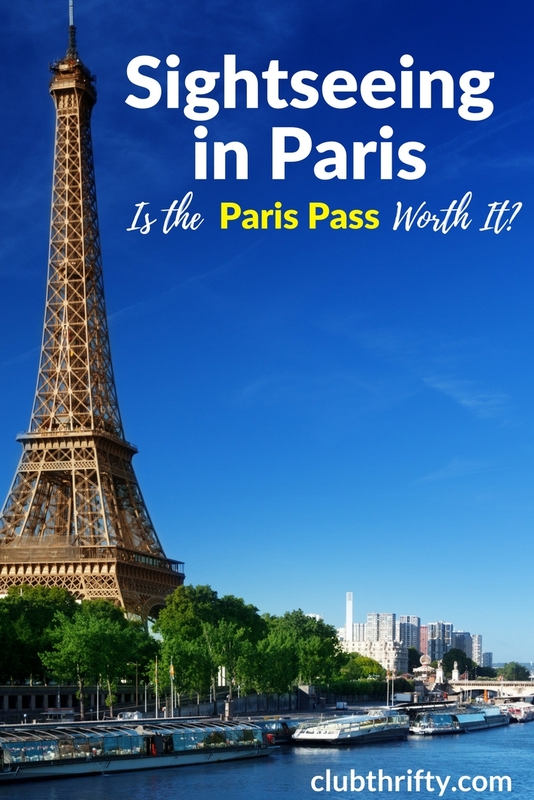 In this Paris Pass review, we explain its features, review the cost, and discover if it's a good fit for your travel plans. FLASH SALE: Save up to 10% on the Paris Pass through Monday, April 22nd, 2019! Follow the link for more details. Are you planning a trip to Paris in the near future? Well, you’re in luck! Spring has sprung, which makes the next few months one of the most beautiful times of year to visit Paris. The weather is beautiful, the parks are blossoming with color, and the city’s vibrant streets are bursting with life. It’s no secret, however, that the City of Light isn’t the cheapest vacation destination. In fact, traveling to Paris can be downright expensive. Like visiting New York City, prices in tourist areas can be unseemly. So, when it comes to sightseeing, a discount card can be a great way to save time and money. This Paris Pass review will dive into what the card offers and help determine if the Paris Pass is right for you. We’ll also compare it to the Paris Museum Pass so you know exactly what you’re getting. We’ve got a lot to cover, so let’s get started! The Paris Pass is a sightseeing card that provides tourists with free entry to over 60 of the most popular museums and attractions in Paris. It simplifies the sightseeing experience for visitors and seeks to save them time and money while doing so. Yes, you read that right. That’s three passes in one! Like other combination cards (such as the Vatican & Rome Card), the Paris Pass actually includes the city’s official museum pass. You also get the Paris Visite Pass which provides unlimited use of city’s public transportation system within Central Paris. The attractions pass provides access to an additional 8 attractions and experiences, while discounts on shopping and dining give the card added value. The Paris Pass is also easy to use. Don’t worry about standing in line to buy tickets. Just present your Paris Pass at all of the included museums and most of the attractions, and you’re in! Easy peasy. As you can see, prices for most attractions aren’t overly expensive, but they can add up quickly. And don’t forget that the cost of the Paris Visite Travelcard is also included with your pass. You can find the complete list of Paris Pass attractions here. Now that you know what’s included, let’s talk about pricing. The Paris Pass offers 2, 3, 4, and 6-day packages. 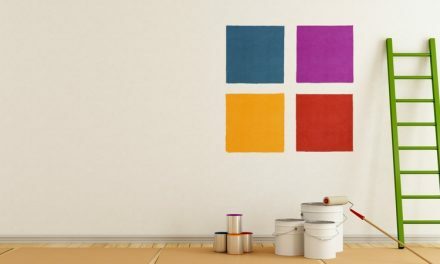 Pricing is structured into 3 tiers, grouped by adults, teens, and children. Here’s where I’d encourage you to use some caution. If you pack in a lot of sightseeing, you can save money with the Paris Pass. If not, this card is probably not for you. We’ll dig a little deeper in a minute, but first let’s take a look at a few more things the Paris Pass has to offer. What’s the best reason to get the Paris Pass? In a word: Convenience. The Paris Pass combines the Paris Museum Pass, the Paris Visite Travelcard, and the Paris Attractions Pass into one convenient sightseeing card. Additionally, it makes buying tickets simple. Instead of purchasing your tickets separately, over 60 of the top attractions in Paris are included on the card – perfect for first-time visitors and those who plan to do a lot of sightseeing. Speaking of convenience, waiting in line isn’t just frustrating; it’s also a waste of time. When traveling, time is practically as valuable as money. 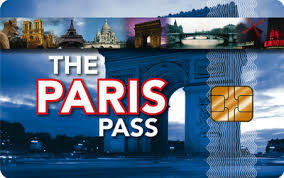 As we mentioned, the Paris Pass includes the Paris Visite Travelcard for the duration of your pass. This gives you free unlimited access to the Paris Metro (subway), RER (subway), and city buses inside of Central Paris (Zones 1-3). Public transportation in Paris is easy to use, so don’t worry about that. It can save also save you thousands of steps and hundreds of dollars in taxi fares. The Paris Pass also comes with a handy map to help you navigate your adventures. A hop-on hop-off bus tour is an excellent way to familiarize yourself with Paris. It’s also a good way to get from one site to the next. The tour makes 9 stops throughout Central Paris and features audio guides in 8 different languages. During the summer, buses run every 8 minutes (15 minutes in the winter). Please be aware that, once activated, the HOHO Bus Tour is only good for one day. Seine River Cruise – This one-hour cruise allows you to enjoy the beauty of Paris while floating under some of the city’s most iconic landmarks and bridges. The cruise also comes with an audio guide that’s available in 13 different languages. Paris Pass SALE – Now through the end of April, get up to 5% off the Paris Pass! Use the code APR19 at checkout. 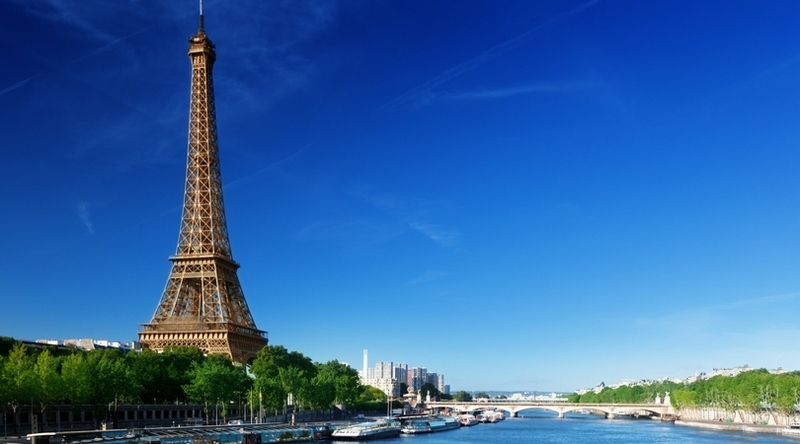 Now that we’ve covered what the Paris Pass has to offer, let’s take a look at its value. As you can see, the longer the pass, the more per day value you get from the card. With that said, you’ll need to visit enough sites each day (and/or use enough public transportation) to make it worth it. With a 3-day pass, visiting 2 of the “museum” sites each day (averaging around €13 each) and adding 1 activity from the attractions portion of the card provides the best value. If you paid out of pocket, you’d be at a total cost of about €170. That alone gets you pretty close to covering the cost of the pass. Don’t forget, the Paris Pass also includes unlimited use of the public transportation system between Zones 1 and 3. Since a 3-day Paris Visite Travelcard costs €29.40, you’ve now covered the cost of the Paris Pass plus gained an extra day of use out of the public transportation system. And, maybe most importantly, the Paris Pass provides fast track entry to the busiest sites, saving you valuable amounts of time. So, if your travel style is a good fit, the Paris Pass may be worth it for you. While some sightseeing cards provide huge savings (see the London Pass), the return on investment with the Paris Pass is a bit more modest. I mean, let’s face it: This pass isn’t a good deal for everybody. In fact, if you have zero interest in the “attractions” portion of the card, you probably shouldn’t get the pass at all. Instead, you’ll save more with a simple Paris Museum Pass and a Paris Visite Travelcard. For example, as of April 2019, the 4-day Paris Museum Pass combined with a 3-Day Visite card (for Zones 1-3) costs €91.40. If all you want to see are museums and monuments, that’s a significant savings over the Paris Pass. Of course, you’ll miss out on the Opera House, the Seine River cruise, the HOHO bus tour, and the wine tasting – but that may not be your thing anyway. Those who get tired of museums – For those who don’t want to be stuck inside a museum or monument every day, the Paris Pass provides some nice options for other activities. The HOHO Bus Tour, river cruise, and wine tasting are all fun experiences to break up your museum hopping. Buy the Pass On-Sale – In addition to visiting multiple attractions per day, the easiest way to get more bang for your buck is to buy the Paris Pass on-sale here! This pass goes on sale all the time – sometimes for as much as 20% off. If that’s the case you’re gonna get a pretty good deal. Either use our coupon code to save a few bucks or check for an even better sale by clicking the link above. A Paris Pass may also be a good fit for those who plan to do a lot of sightseeing and want to do it as cheaply and time efficiently as possible. Buying the pass while it’s on-sale can also help you get a lot more bang for your buck. So, is the Paris Pass worth it? That’s really up to you. Determine your travel style and decide what you want to experience during your trip to Paris. If sightseeing and museums are in the mix, you really ought to consider using the Paris Pass – provided you run the numbers first. HOT SALE! – Get up to 5% OFF the Paris Pass when you purchase in April 2019. Use the code APR19 at checkout. Learn more here. Nice review. I didn’t even realize something like this existed. Will have to look into this when planning our future Europe trips. Thanks Syed. Sightseeing passes are great, and I always look for them when planning a trip. They’re all a little different, and some provide more value than others, but I always run the numbers to see if they work for me. I’m planning to travel to Paris in June and wanted to know if this pass will work for us. I’m taking my mom along and have 3 days to spare . It’ll be my 2nd but my mom’s first time in Paris and will try to see as much as we can. Main attractions we’d like to see is Versailles, Louvre, Eiffel Tower (at least 2nd floor), Arc of Triumph,Notre Dame, the Sienna ride would be nice too, and Montparnasse and Picasso Museum. What do you recommend? Whenever I travel, I’m always on the lookout for such passes or ticket combo options that could save money. I think most big travel destinations have this option or something similar and it’s always a good idea to plan ahead! Yep, I do the same. Most big cities have a pass of some type, although some city passes are better than others. We use these types of passes often. Paris is a beautiful city to visit. But, do not make the same mistake my husband and I did by purchaing the PARIS PASS. We paid over 300 Euros for 2 3-day passes, but would have spent a little over 100 Euros if we had paid for the sites that we visited on our own. Also, the 3-day pass ONLY GIVES YOU ACCESS TO THE MUSEUMS FOR 2 DAYS! THE PASS HAS A 3-DAY SUBWAY PASS (WHICH WILL NOT EVEN TAKE YOU TO ALL OF THE PLACES THAT ARE INCLUDED IN THE PARIS PASS.) In fact, I sent my husband to the Paris Pass office, thinking they made a mistake by giving us a 2-day museum pass, but that is what you get when you purchase a 3-day Paris Pass. In addition, the Paris Pass claims that it gives you fast track entrance to some attractions. My husband and found this to be FALSE information! At the Louvre and the Museum d’Orsay, we waited in THE SAME LONG entrance and security lines as everyone else who had prepaid tickets. Also, entrance to Notre Dame Cathedral is FREE! You only need to pay if you want to climb the towers. There are 2 separate lines to do each, so be prepared to spend a good part of your day on lines if you plan on doing both. The Paris Pass gives you unrealistic itinieraries to follow. If you would actually like to look at the museums you are visiting, you can never visit as many attractions as they suggest (given travel time, lines to enter, and museum hours). You will never have time to visit enough attractions to make this pass worth the money!! I’m sorry to hear the pass didn’t work out for you. It’s definitely not right for everybody. Of all the different sightseeing passes, I’d have to say that the Paris Pass is one of my least favorites in terms of value. Unless you take advantage of the options on the attractions card (like the river cruise, HOHO Bus, wine tasting, etc. ), it is not worth it. On the other hand, if you hit two museums and an attraction each day, the pass could be worth it, depending on how you like to do your sightseeing. One of the great things about Paris is that so many of the landmarks are free. 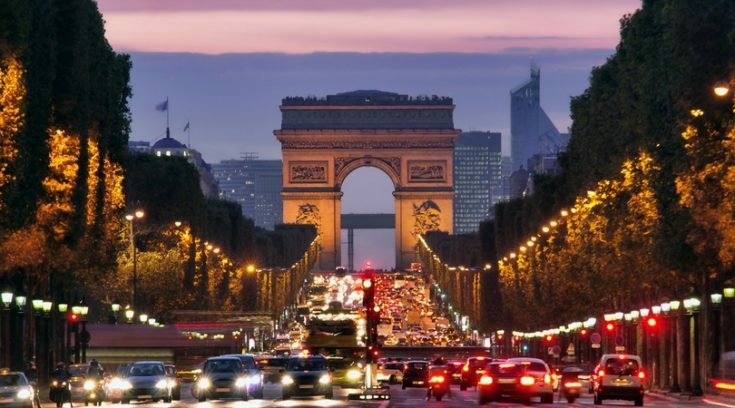 It costs nothing to walk past and admire the Eiffel Tower or the Arc de Triomphe. However, many of these landmarks have additional activities (like climbing the Arc) that require a ticket. So, if you don’t plan to do these extras, again the pass isn’t probably worth it. I’d say the Fast Track Entry is still a good perk. While you may still have to queue at the entrance, you do get in faster because you don’t have to wait in line for tickets. Unfortunately, hiding in plain sight on the Paris Pass website is the 3-day PP/2-day museum pass issue. For this reason, I’d probably skip the 3-day pass completely. As far as the boat goes, I can’t imagine that the boat wouldn’t be running by June, especially if it is because of snow. We were last in Paris in October, and all the boats were running just fine. As far as the guidebook goes, you CAN download the .pdf, but you don’t have to. They should mail you a paper copy with your passes. You can also choose to pick it up with your passes if you retreive them once you get to Paris. I visited Paris in early May many years ago, and the river boats were not running because of high water due to flooding. There wasn’t enough clearance for them to go under the bridges. You will probably read in the news if there are heavy rains and extensive flooding close to the time you go. Oh man, sorry that happened. We’ve been a couple of times and never had any problems. Hi, If we buy the Paris pass for 2 days, does it come with Museum entry for 2 days as well? Yes. 2 and 3-day Paris Passes both come with a 2-day museum pass. Just remember that Paris museums are generally closed one day a week. Be sure to plan for that if necessary! Greg – what is the difference between this and the PassLib sold by what looks like the Paris Convention and visitors bureau? Both have the Paris Museum Pass, HOHO bus, river cruise, metro card. 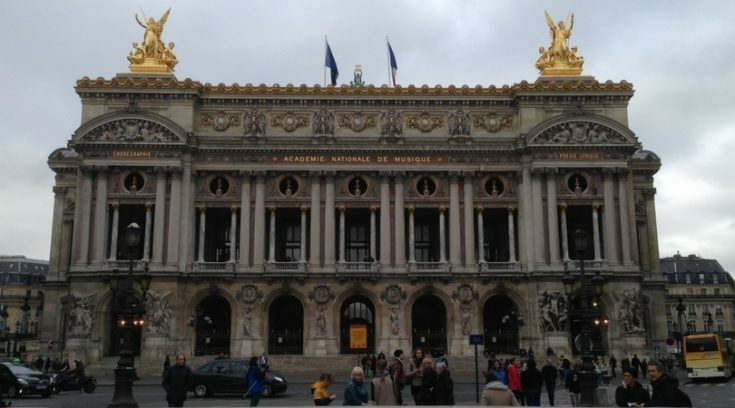 Some of the other extras like the Opera House, a walking tour, and Montparnasse are out, but is is much cheaper. Am I missing something else here? My other question is – the arrival day we land from US at 10AM local after direct overnight flight. I assume we can be sight seeing by 2. Is the HOHO bus a good way to orient to Paris and start the pass that day? It may be the only thing we use that day(but will try the river cruise if not too tired) so I will have to check if worth a day extra purchase for the additional cost. That is the difference – the attractions portion of the card. From what I can tell, minus the boat tour and the HOHO bus, the rest of the items not on the PassLib I’ve got listed above under the “items not on the museum pass.” Use two of the cheaper ones (or go on the wine tasting tour) and you’ve essentially made up for the cost difference on the 3-day pass. The Paris Pass is also unlimited, so you can go to all of those attractions if you have time. It’s really a matter of what is important to you during your trip. If you want to spend all your time in museums, just get the museum pass. If you like the idea of visiting the other attractions, the Paris Pass may be a better fit. BTW – the Opera is absolutely beautiful. I definitely recommend checking it out regardless of which pass you go with! Bought the 3 day ParisPass, which is 2 museum pass days, consecutively. So, I will try some of the non museum pass attractions on arrival day. HOHO bus and cruise will fit best since our hotel is 15 minutes walking to Eiffel Tower, and we are definitely going there on arrival day. That is the cruise location area and a bus stop too, so we’ll see what works out. The opera House in on my list, so glad to hear it is worth the trip! It also adds another non museum item use for the pass ;). We also may do the Paris Film walking tour too, then use the Museum pass for Notre Dame and Sainte Chapelle. I added the metro pass to the costs of what I want to do, and it seems like I will at least break even, even if skipping 3 of my lower priority items like the Arc tower climb. Fantastic! I hope you have a great trip. The boats are super easy to find – right along the river behind the Eiffel Tower. There are several companies located there, so just be sure you go to Bateaux Parisiens booth and present your pass to get a ticket. Also, keep in mind that all of the museums are closed at least one day a week. If I remember correctly, Versailles is closed Monday and the Louvre is closed Tuesday. Have a great trip and enjoy Paris! 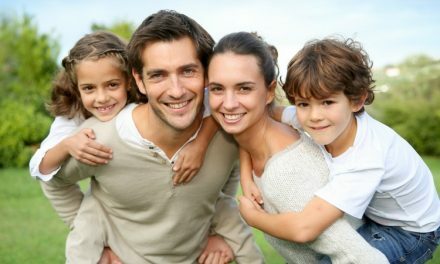 Awesome article! Thank you! It says the travel pass goes from Zone 1 to Zone 3 does that include all the way to the Palace of Versailles? Thanks Dani! No. Versailles is in Zone 4 and Fontainbleu is in Zone 5, so you’ll need an additional ticket there. CDG Airport is also out of the serviceable area for the included travel card. Versailles is out of the pass area. I researched the metro and RER a bit and got the apps. I found that I am going to use the ParisPass for attractions arrival day 1- day 3; MetroCard for days 2-4; Museum pass days 2 and 3. Our hotel is near the RER and some non museum attractionssomit works out for us. Thank you so much. It’s really nice read. It will be my first time in Paris. So I ended up buying Paris pass for 6 days. I was wondering if it’s including the Eiffel tower entry? If it’s included how can i book online my time to visit? Also can I visit some of the landmark twice. For example like Ach de triompne . Also is the museum pass will be 6 days as well. You’ll need to double check with the pass company, but – generally speaking – you are only allowed to use your pass at each location once. And yes, the museum pass should come as 6-day museum pass with the 6-day Paris Pass…but again, I’d confirm that with them. We try to keep everything up to date, but sometimes things change in between our updates.